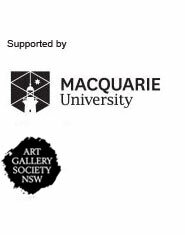 This week at Art After Hours, Jason Phu will be in conversation with Benjamin Law discussing Phu’s work in the exhibition currently on display at the Gallery, Playback: Dobell Australian Drawing Biennial 2018 . Earlier in the night delve deeper into the John Russell exhibition with conservator Paula Dredge. Later, enjoy the lush synth sounds of September’s resident band Ginger and the ghost.